It's our privilege to host world renowned fashion illustrator, Nancy Riegelman. In this video, Ms. Riegelman personally introduces her highly acclaimed book, "Face Fashion". Face Fashion, with its unique chapters on hair, makeup, and accessories, is recognized worldwide as an industry standard for all levels of students. Face Fashion by Nancy Riegelman is a comprehensive guide to drawing the face as it appears in fashion drawings. Colors for Fashion by Nancy Riegelman is written for all those who love to draw just as much as they love fashion and are interesting in developing advanced fashion drawing skills. 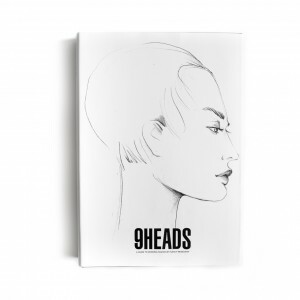 9 Heads Fashion Notebook - Women's Fashion by Nancy Riegelman is the perfect outlet for designers everywhere striving to illustrate a collection of 'flats' involving women's garments and accessories. 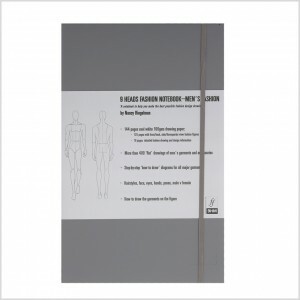 9 Heads Fashion Notebook - Men's Fashion by Nancy Riegelman is the perfect outlet for designers everywhere striving to illustrate a collection of 'flats' involving men's garments and accessories.